Dr. Shapiro's Hair Institute, providing hair restoration surgery, is located in South East Florida with two hair transplant clinic locations. These Ft. Lauderdale area locations in Hollywood and Delray Beach are conveniently located to serve all of South Florida's hair restoration needs. Do you live in the cities of Boca Raton, Miami, West Palm Beach, Ft. Myers, or Orlando? If so then Dr. Shapiro's Hair Institute is just a short drive away. Our Hollywood office is located ten minutes from the Ft. Lauderdale International Airport and close to hotels in Boca Raton, Delray Beach & Hollywood, FL. Dr. Shapiro has been providing hair transplant surgery for over twenty years and the highly trained staff in his two South Florida transplant clinics are eager to help you achieve the hair restoration you are looking for! You simply can't find a more cost effective solution for hair restoration in South Florida as Dr. Shapiro offers grafts starting as low as $3-$4! 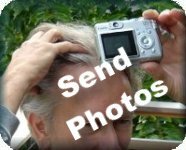 Find directions to Dr. Shapiro's Hair Institute from many popular South Florida cities. Besides serving the needs of South Floridians, Dr. Shapiro's Hair Institute is also a the hair transplant solution for those living in the Atlantic and Caribbean Islands and we often see several patients from the mainland US, such as Atlanta, Dallas, New York City and Canada who travel to our South Florida locations to take advantage these great deals on hair transplantation. 1 mile west of I-95 on the north side of the street. Driving Directions from: Tallahassee & Orlando, Tampa, Ft. Myers, Naples, Aventura, Golden Beach, Coral Gables, Kendall, Key Biscayne, Plantation & Pembroke Pines. 1 mile west of I-95 on the SW corner of Atlantic Ave. & Military Trail in the Delray Commons Plaza to the right of Golds Gym. As you can see, both locations are conveniently located close to I-95 or the Florida Turnpike for those of you coming in from outside the Ft. Lauderdale area. Taking a hair replacement surgery vacation? For out-of-town patients we have discounted travel incentives are available for accommodations and transportation.